Traveling is synonymous with meeting different people from different walks of life. So for someone who constantly has to interact with different people everywhere on a regular basis, nothing excites me more than spending time alone with myself every now and then. 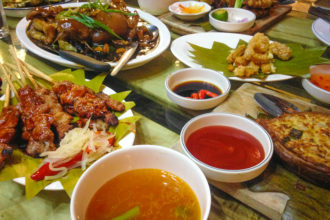 Which is why it was a great experience for me when I had a ‘me’ time a few days ago at Bayfront Hotel Cebu. 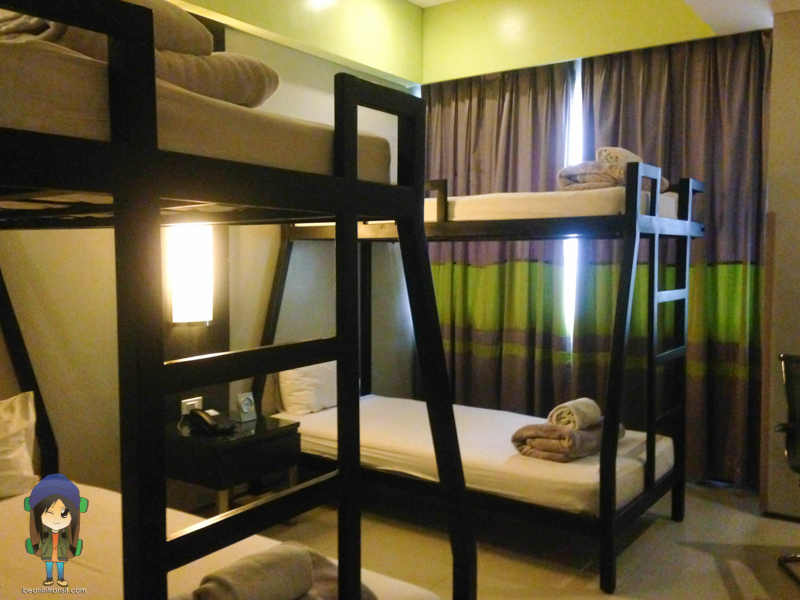 The best thing about Bayfront Hotel Cebu is that it is strategically located right in front of the MyBus station. 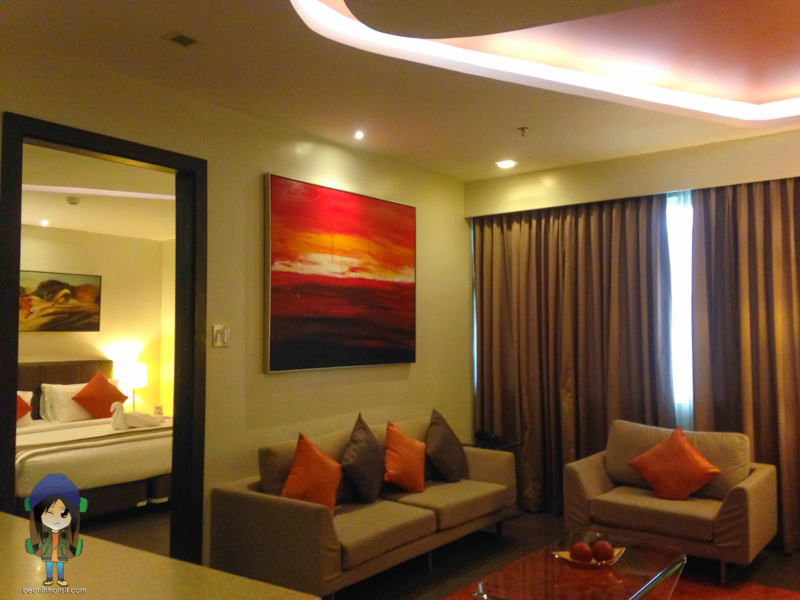 If you’re coming from the airport, Bayfront Hotel Cebu is the most convenient place to stay in because you don’t have to transfer cars. From the airport, just ride a MyBus bus heading to SM City, and you just have to cross the street to reach Bayfront. 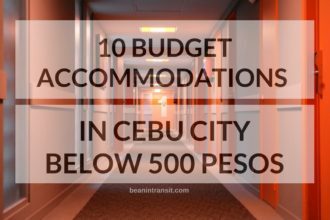 It is near to the malls and only a ride or two to some tourist spots within Cebu City. 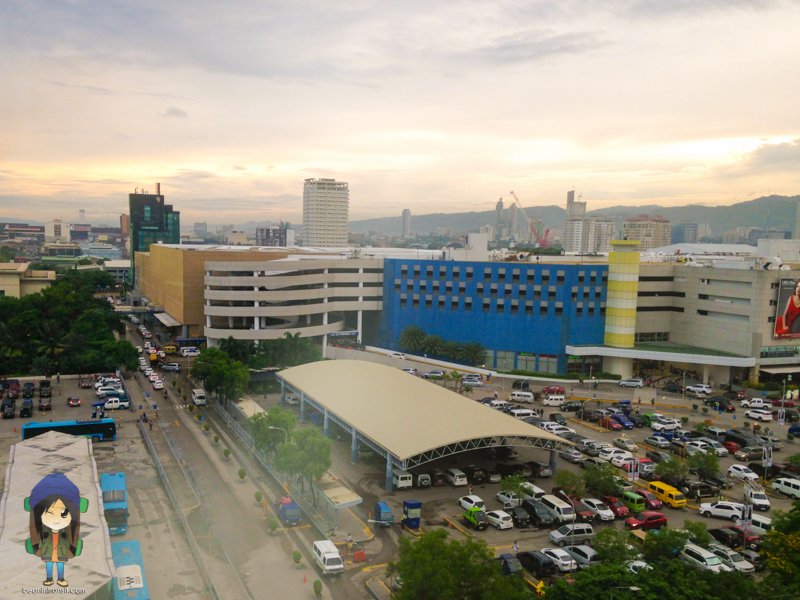 The MyBus station in SM City Cebu is located right in front of Bayfront Hotel Cebu. 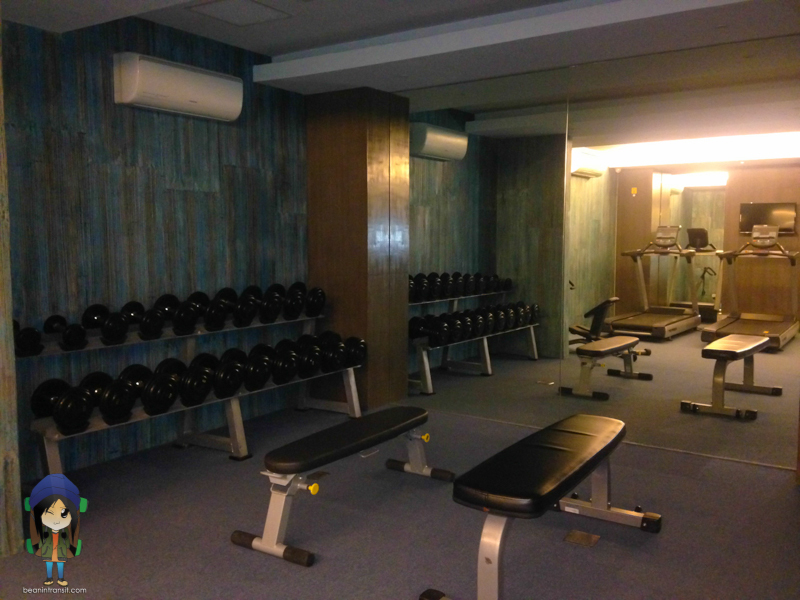 I had a goal in mind when I stayed in Bayfront Hotel Cebu for a night. As I have said, I wanted to spend some time alone. The past few weeks have been a roller-coaster ride. 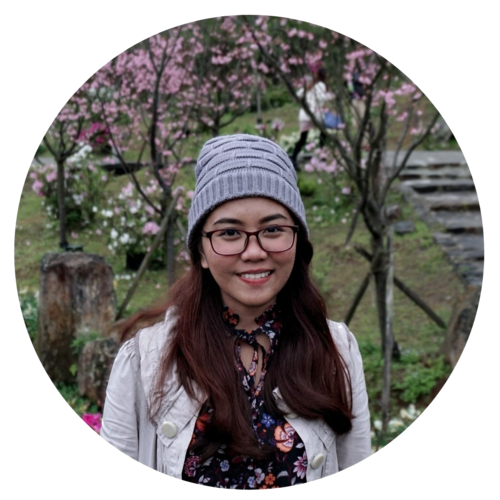 I went to Gensan, Saranggani, and South Cotabato, and when I returned, I was faced with so much work. The tiny little bean simply cannot keep up. I was so excited to eat everything I brought that day that I only got to take a picture of this detox juice and cookies in the fridge. haha! I spent the whole time at the hotel finishing my backlogs. Although I didn’t get to finish writing all of them, I’m glad I have accomplished something. It was a peaceful stay. My home for one night! 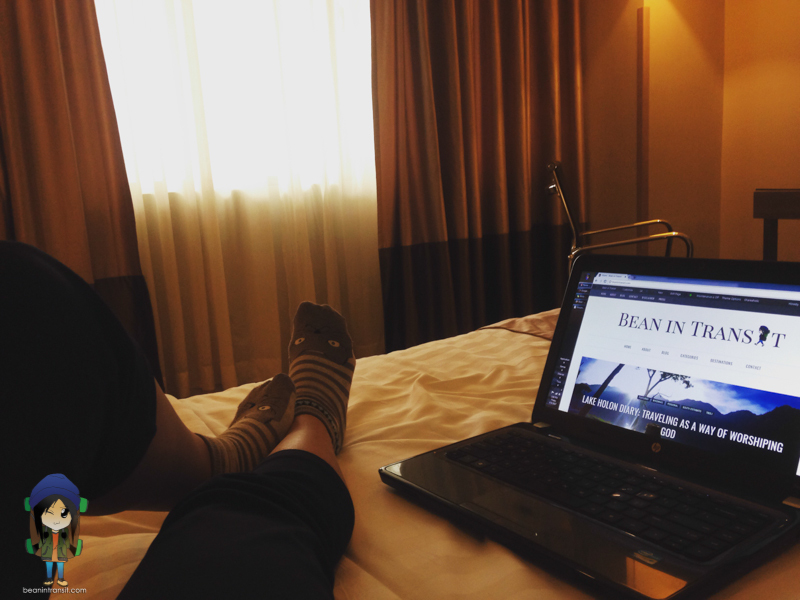 Before I spent the whole time writing in my hotel room, I had the chance to tour around Bayfront Hotel Cebu and check out some of their rooms and state-of-the-art facilities. Here are some of the photos I’ve taken during my stay. 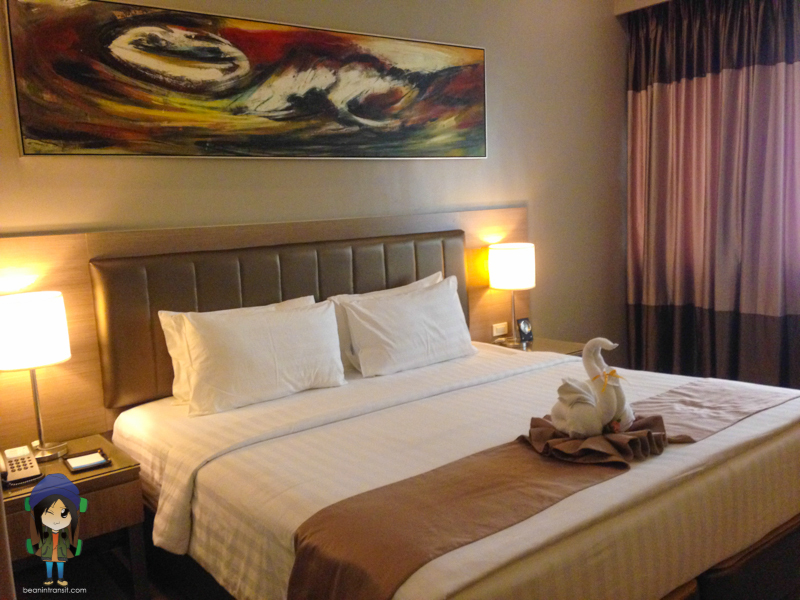 Bayfront Hotel Cebu’s Suite Room has complete with Bedroom, Living Room, Kitchen & Dining Area Setup. Current rate is around Php 4000. 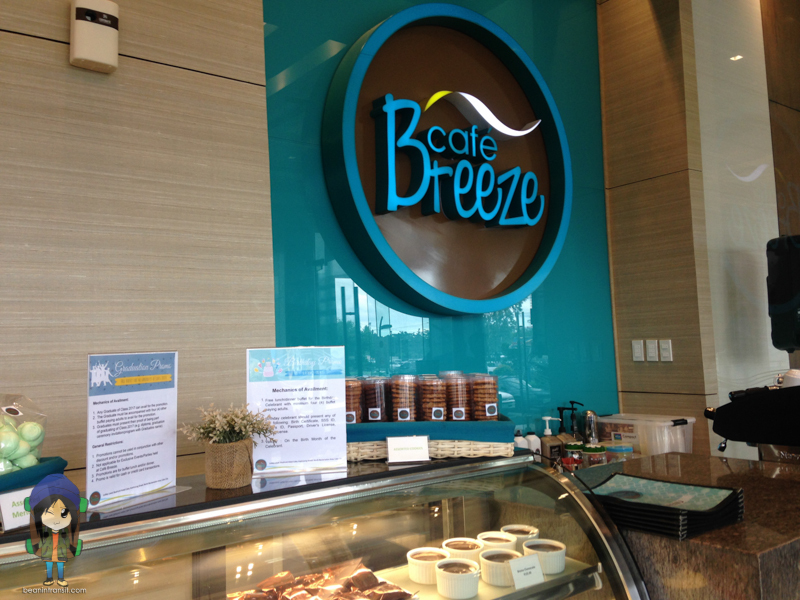 Cafe Breeze is an all-day dining restaurant that serves Filipino and International dishes which is located in the Lobby. 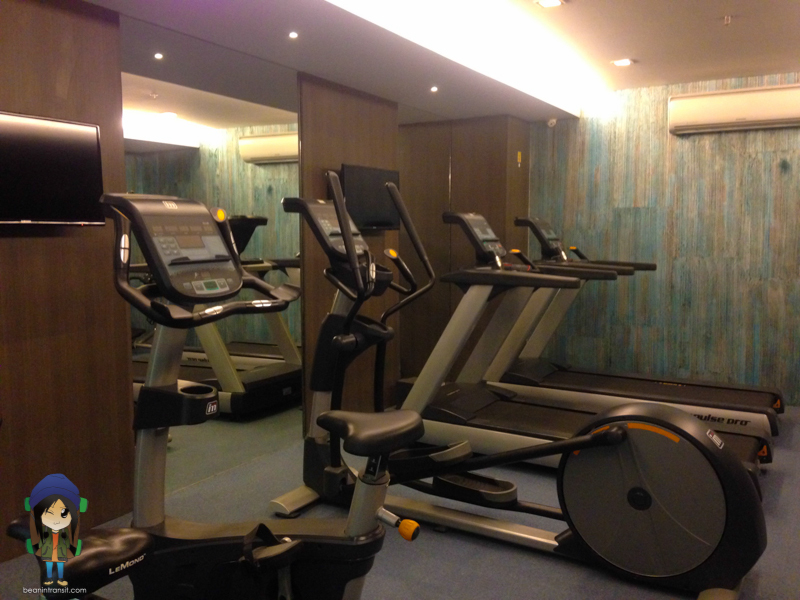 They are open from 6.00 am to 10:00 pm. Is the hotel/hostel/homestay near the destinations I am visiting? Is it accessible via public transportation? Is it safe, affordable, and comfortable? Is it near convenience stores? 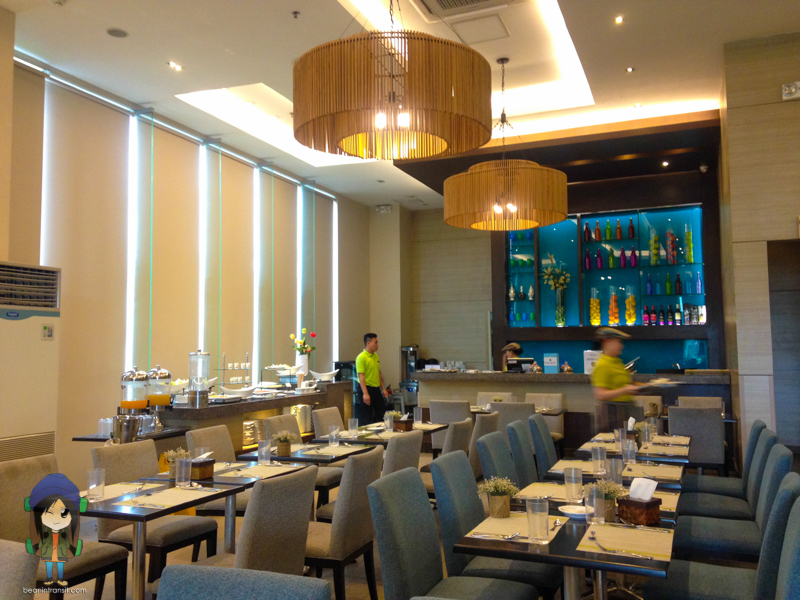 If I am someone visiting Cebu City, I would definitely consider Bayfront Hotel Cebu. The hotel is just near the malls. Also, one of the best thing that I love about this hotel is that there is a 7Eleven store right beside their lobby. It’s pretty convenient and you don’t need to go far to purchase something in the middle of the night. The view from the hotel window is also amazing. Tip: If you want to see the sunset, choose a room that faces the city view. And if you want to witness the sunrise, choose a room that faces the port view. 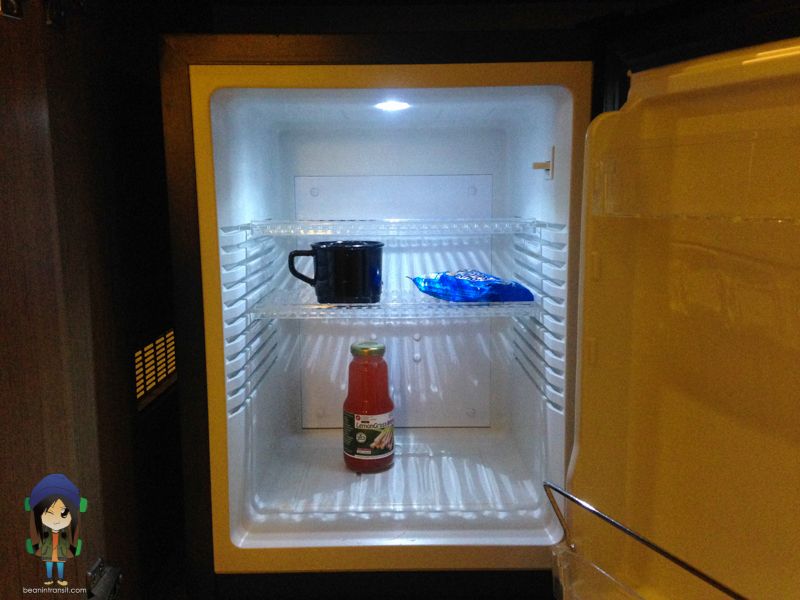 I was lucky to be in a hotel room that faces both. Unfortunately, I woke up really late so I wasn’t able to witness the amazing sunrise of Cebu. 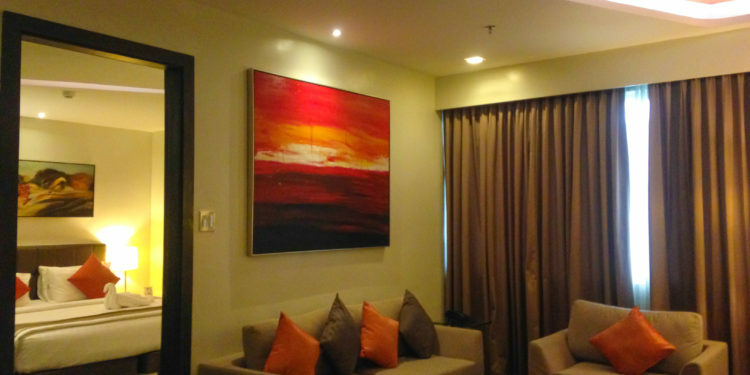 I would definitely love to stay in Bayfront Hotel Cebu again. This time, I’ll bring my friends too. Disclaimer: My entire stay was sponsored by Bayfront Hotel Cebu. All thoughts & opinions expressed in this post are solely my own and do not express the views or opinions of the sponsor.